Do you find yourself wanting to spend more money with Black businesses but days, weeks, months go by and you still haven’t spent a dollar? What’s preventing you from spending; can’t locate a business, , don’t want to spend the extra time? Whatever the case may be we have to make a bigger effort to redirect our dollar. Right now we spend only two percent of our $1.1 trillion dollar spending power. That’s just shameful. Collectively we have to do better and with the right plan, we can. Ujamaa Box is a monthly mail subscription service that introduces you to a minimum of three Black businesses ranging across multiple industries such as art, beauty, fashion, health, jewelry, travel and more for just $25 a month. You’ll be hand delivered amazing products that will encourage you to discover and purchase more from these businesses. During the planning and execution of Ujamaa Box, I religiously read Maggie Anderson’s book Our Black Year. The book documents her family’s empowerment experiment that involved pledging to spend only with Black businesses for a year in their Chicago neighborhoods. They quickly discovered that it wasn’t going to be as easy as they thought. They couldn’t readily find the fresh meats and produce their family was so accustomed to, or shoes to fit their two daughters quickly growing feet. They found that although they couldn’t spend every one of their dollars exclusively with Black businesses, they made sure to fill their bucket wherever they could. I think that’s how we should all approach the redirection of our dollars, by redirecting them wherever we can. I created Ujamaa Box because I saw a problem that I wanted to help solve. Our dollars stay in circulation for only six hours! I wanted Ujamaa Box to be an easy, explorative, fun and convenient way to spend more money within the community and more often. I also created Ujamaa Box because I wanted to pursue a living in making a difference in something bigger than myself and not for just another check from an employer who doesn’t share my self-interest. Let’s stop allowing so many of our dollars to be spent with businesses that don’t respect us and don’t share our self-interest. As we begin to transition into a new year rethink the way you are spending your money. What could you be doing to work towards a more cooperative economic lifestyle? Subscribing to Ujamaa Box can be your first step! Just go to UjamaaBox.com to begin a subscription. Please make a commitment to support Black business more often. 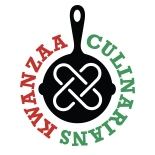 This entry was posted on December 5, 2014 by Kwanzaa Culinarians in 2014, business, Personal Story, shopping, Ujamaa and tagged Black Businesses, Ebony Costain, Maggie Anderson, Our Black Year, small business, Ujamaa, Ujamaa Box.